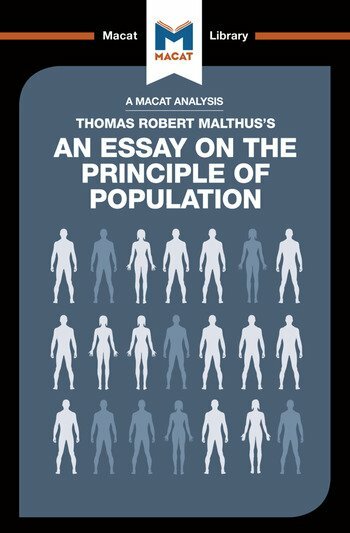 Thomas Robert Malthus’ 1798 Essay on the Principle of Population helped change the direction of economics, politics, and the natural sciences with its reasoning and problem solving. The central topic of the essay was the idea, extremely prevalent in the 18th and 19th centuries, that human society was in some way perfectible. According to many thinkers of the time, mankind was on a course of steady improvement with advances set to continuously improve society and life for all. Malthus was a skeptic on this point, and, in a clear example of the skill of reasoning, set about constructing and marshalling a strong argument for a less optimistic view. Central to his argument were the laws of population growth and their relationship to growth in agricultural production; in his view the former would always outstrip the latter. This provided a strong argument that society was limited by finite resources – a closely reasoned argument that continues to influence economists, politicians and scientists today, as well as environmental movements. While Malthus’ proposed solutions have been less influential, they remain an excellent example of problem solving, offering a range of answers to the problem of population growth and finite resources. Nick Broten was educated at the London School of Economics and the California Institute of Technology. He is doing postgraduate work at the Pardee RAND Graduate School and works as an assistant policy analyst at RAND. His current policy interests include designing distribution methods for end-of-life care, closing labour market skill gaps, and understanding biases in risk-taking by venture capitalists.